film are solid dyes corresponding to the four basic colors used in printing: cyan, magenta, yellow and black. The print head heats up as it passes over the film, causing the dyes to vaporize and permeate the glossy surface of the paper before they return to solid form. So in summary, Dye-sublimation prints utilizing heat as opposed printing using a series of dots. Special heat activated inks (dye sublimation inks) are printed onto a digital transfer paper, usually as a mirror image. 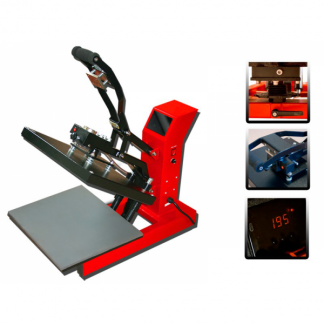 The heat press (suitable for loose pieces) or a calendar (suitable for continuous media on rolls) and a receiver substrate needs to be heated to apply the image to the substrate. The receiver substrate will be a polyester fabric or a material which has been pre-coated with a polyester surface, including glass, metal, wood, plastics and ceramics. The digital transfer paper is placed on top of the item to be imaged, with the printed side down. Pressure and heat is then applied using the heat press or calendar (typically 180-200°C for 35-60 seconds). The print is complete when the paper is removed. No drying time, or post treatment is required. Why should you invest in Dye Sublimation? Over the years, Dye Sublimation machines have come a long way. The printing options using this method used to be quite narrow and limited to t-shirts and mugs however today you can print on items including our colour changing ‘magic mugs’, neoprene wine holders, mousemats, jigsaw puzzles, pillows, wallets, teddy bears, coasters, water bottles, bar mats and photoslate. In fact, if you can think it, you can print on it. This enables printer businesses to offer new services to existing customers and open up new market segments. 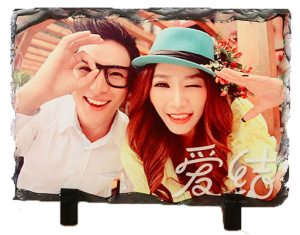 What are the advantages of Dye Sublimation? As you are using heat, there is less degradation over time on the print. When compared to traditional printing processes dye sublimation benefits from significantly reduced set up times. There are a variety of affordable heat presses that allow a paper print to image around 3D objects. Print using Ricoh sublimation printer, ink and paper. Transfer image onto product using the heat press. And you’re done. Brilliant results every time. Interested in exploring Dye Sublimation for yourself? Why not call our resident expert on the subject, Pat at +353 1 460 2200 or visit our products page today.